The South African confectionery and candy industry has proved to be very innovative over many years and although the brand names are international you will find many products here which are exclusive to South Africa and it could be argued that South African chocolate along with British chocolate is far superior to the US counterpart. We stock Cadbury Dairy, Wholenut, Fruit & Nut and the best of all Cadbury Top Deck slabs, that superb blend of white and dairy milk chocolate. 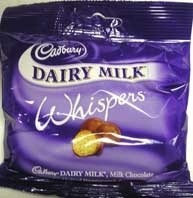 We also stock Cadbury Crunchies, Flakes and Whispers, those delicious little malted balls covered with delicious dairy milk chocolate and our latest Cadbury chocolate sensation is Cadbury Bubbly available in Dairy Milk, Top Deck and Mint. Our South African chocolate collection also includes Nestle chocolates and chocolate bars such as Milky bars, Milo bars, Aero's, Tex bars, Chocolate Logs and Bar Ones. One of the most iconic and popular South African chocolates is Peppermint Crisp, however due to food coloring restrictions, peppermint crisps cannot be imported into the USA. 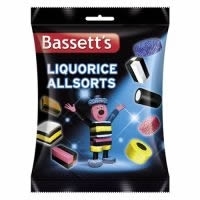 Our British chocolate line consists of Fry's Turkish Delight, Mars Bars and Maltesers and we also have Smarties, Liquorice Allsorts, Rowntrees Fruit Pastilles, Fruit and Wine Gums and Jelly Tots for the kids. South Africa also happens to produce some of the finest Nougat and we subsequently stock Massam's Nougat and also Walters Nougat both of which are available in various flavors, so sit back, get out your sweet tooth and indulge yourself in some of the world's greatest sweets, nougat and chocolate.